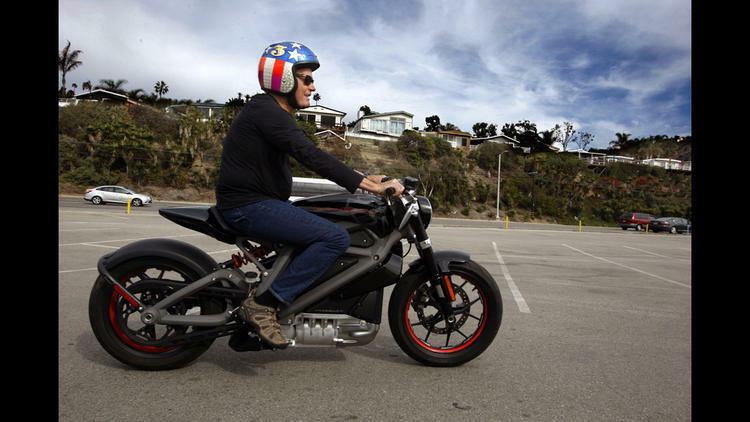 Peter Fonda suited up and slung his leg over the LiveWire, a prototype electric superbike from Harley-Davidson. Making his first pass, he threw a smile and a thumbs-up, then shot off again. This is the same Fonda who, as the star and co-writer of the classic road movie “Easy Rider,” put the chopper on the American cultural map and made motorcycling a mainstream activity. In five minutes, he’d gone electric. Weeks earlier, during an interview with the Los Angeles Times about an upcoming auction sale of a vintage Harley-Davidson purported to be the last of the “Easy Rider” motorcycles, he had suddenly changed the topic and started talking about the modern-day Harleys.